distress, and are a major clinical problem. A decline in memory function is a more-or-less inevitable part of normal ageing, although the rate of decline can be reduced by regular aerobic exercise, a good diet and regular (but demanding) neurocognitive challenges. More intractable, however, are the neurocognitive and neuropathological changes occurring in the substantial fraction of the over 65 population affected by mild cognitive impairment and amnestic dementias. Current treatment options are are limited, often focusing on pharmacotherapies broadly targeting the cholinergic neurotransmitter system, with some limited success. Safe, reliable pharmacological enhancement of memory remains elusive, despite the undoubted clinical benefits it would bring. The major treatment recourse for Alzheimer’s disease continues to be pro-cholinergics, which are symptomatic treatments, and not disease-modifying. The holy grail continues to be disease-modifying compounds – ones which halt disease progression, and ideally safely reverse disease-induced neurodegeneration. No such compound is on the horizon. 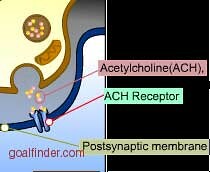 Substantial data support the importance of the cholinergic (ACh) system in memory: pro-cholinergics (e.g., physostigmine or donepezil) boost memory and increase regional neural activation in the hippocampal formation (HF) of humans and animals, whereas anticholinergics (such as scopolamine) induce mnemonic deficits and other changes in neural function (such as inhibiting synaptic plasticity). Recently, certain neuropsychological tests of working memory (such as the n-back task) have been used in humans to demonstrate a central ACh deficit. The logic is straightforward; deficits in memory selectively relieved by donepezil (the most widely-used cholinesterase inhibitor), but not non-cholinergic agents, imply a central cholinergic deficit. These studies also disclose widespread individual differences in cholinergic deficits, as many patients are unresponsive to ACh therapeutics. ACh innervation of HF derives from the medial septum; medial septal lesions cause mnemonic deficits in certain animal models. Understanding how ACh facilitates HF-associated memory function is a significant challenge, given the complexity of ACH neurotransmission. ACh binds to at least 4 pharmacologically-distinct muscarinic receptor (mAChR) subtypes, as well as ACh nicotinic receptors (nAChRs) of somewhat varying subunit composition. This complexity provides many targets to modulate memory in subtle ways, advancing the state-of-the-art substantially beyond the current ‘one molecular treatment for all’ approach. However, we are still some way from this position. One useful research approach might be to focus on fractionating the population exhibiting excessive age-related memory decline in order to discover appropriate biomarkers that distinguish between deficits that arise as a result of a pure cholinergic deficit, and from other causes (or indeed combinations of causes).